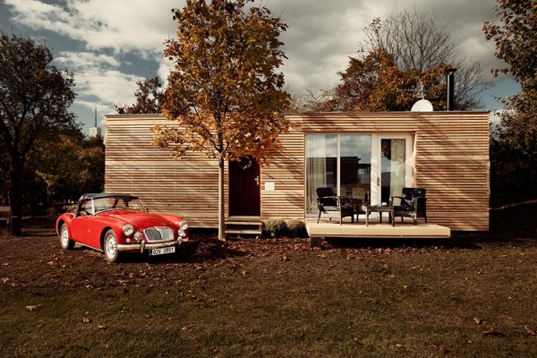 The Freedomky is a low-energy dwelling currently available only in Europe. The first prototype was built on Prague’s Wenceslas Square in 2010 for Architecture Week. These houses are not meant for travel, but by freeing you from many downsides of city life, they can make life can feel like a vacation. The Freedomky units are highly customizable – they can vary in size and shape. All the interior specifications are done in collaboration with the buyer, along with frame, insulation and paneling selection. 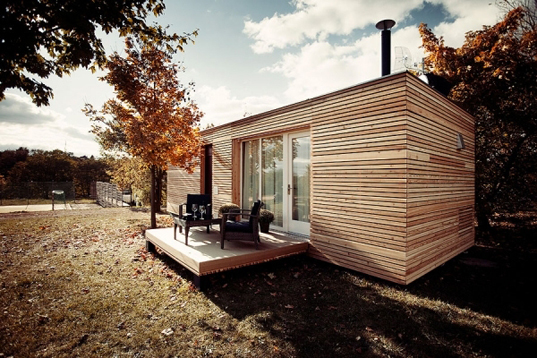 It can be designed as a permanent residence, vacation house or an office. The Freedomky 2Plus Module can be independent from utility networks. It can be outfitted with individual components of the Independence Module – a photovoltaic generator, a solar water heater or a waste-treatment unit. These components can be added to any Freedomky model. The average utility costs are reduced down to $53.50 (including electricity, water and sewage) for a unit inhabited year-round by two residents. All models have well insulated envelopes, air-to-air heat pumps for heating and cooling and a heat recovery system, all characteristic of the European Passive-House concept. Who will bring this to the USA?